Hey, folks. I bring you another article from medievalfragments. It’s a round up of the year in manuscripts. While we’ve touched on illuminated manuscripts and the dangers they’ve faced some on this blog, it has largely been in a historical context. The first story here, about Medieval Islamic manuscripts thought destroyed by rebel troops in Northern Mali reminds us that things like the destruction of the Library of Alexandria, the censorship of non-Christian texts during the Spanish Inquisition, or Nazi book burnings are not the atrocities of some older age, they are happening right now. Luckily, in a twist right out of Geraldine Brooks’s People of the Book, many of the manuscripts were later revealed to have been secreted away. The other stories here about digitizing manuscript collections, while not as dramatic, are attempts to further increase our access to information, as well as safeguarding our world heritage and literary/historical treasures from the fate of too many books burned, lost, or stolen through the years. Censorship (and knowledge lost to time and decay) is a global problem and all world history is our history. Efforts to protect, preserve, and restore our ancient texts and written works should not be the concern of one country, one museum, or one manuscript preservationist. We are all responsible for the safekeeping of our past, thus ensuring access to that information in our future. First, a very Happy New Year to all our readers from the Turning Over a New Leaf Project! 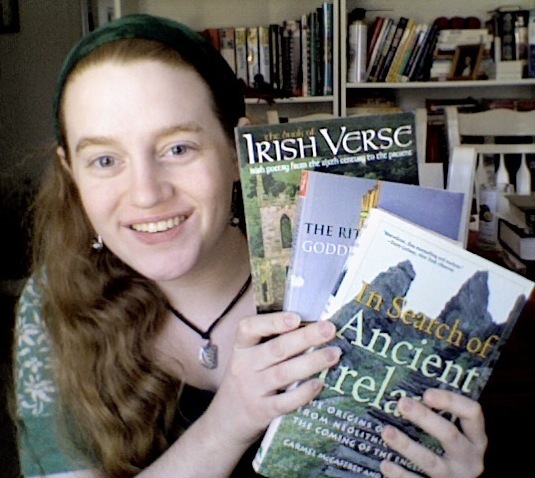 2013 was an exciting year for manuscripts! New technologies and growing digitization programmes enhanced avenues of access and exploration for researchers, while an interested non-expert public kept exhibitions, blogs, and the latest manuscript news in the limelight. Let’s take a quick look back at some of (what I think were) the best manuscript news items of 2013. I spoke previously about dead and lesser spoken languages in my post Dead Tongues Tell No Tales. Those interested in reading more on minority languages, their attempts to make a come back, and the legal/social struggles therein may find this article illuminating. I hope you all had a good Easter, Ostara, or Passover. I’ll be posting a follow-up review of The Da Vinci Code movie adaptation sometime this week. As always, thanks for reading, commenting, and sharing. May the Bard be with you.